I saw Les Mis in Toronto on November 21st. It was amazing. My super duper wonderful girlfriend Kathi and I drove in on Friday the 20th, spent Saturday visiting downtown Toronto, saw the production that evening, then spent Sunday at the Art Gallary of Ontario, where we visited the regular museum exhibits, as well as the an Art in the Age of Van Gogh exhibit. Above, Kathi and I are waiting for the performance to begin at the Princess ofWales Theatre. We also celebrated Kathi's birthday while in Toronto. 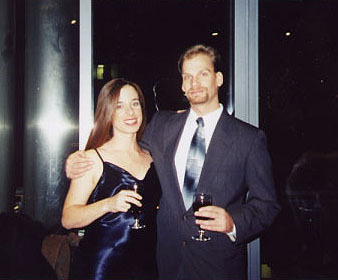 At the restraunt,after the theatre, the waiter brought us each a glass of champagne. Kathi'scame with a little flare. 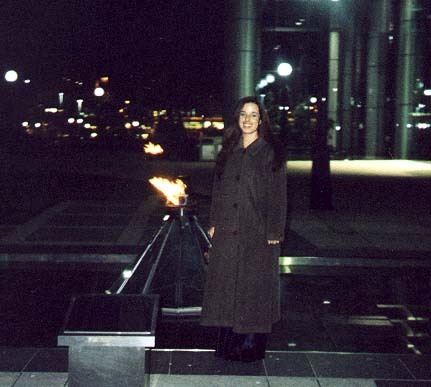 Kathi investigates a flame on the way back from the theatre.